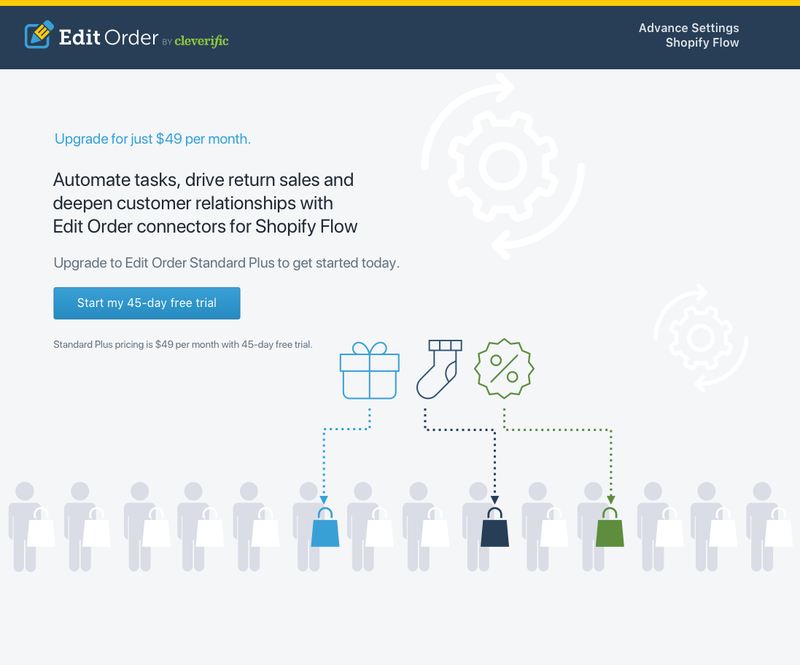 Edit Order's Shopify Flow connector lets merchants create workflows that automatically add sample products, promo items, discounts and more to your customer's order. This can help drive return sales and deepen customer relationships. This feature is only available on the Standard Plus plan, priced at $49 per month. Here's how you can upgrade to Edit Order's Standard Plus plan and start your 45-day free trial. Click on the Start my 45-day free trial button to get started! 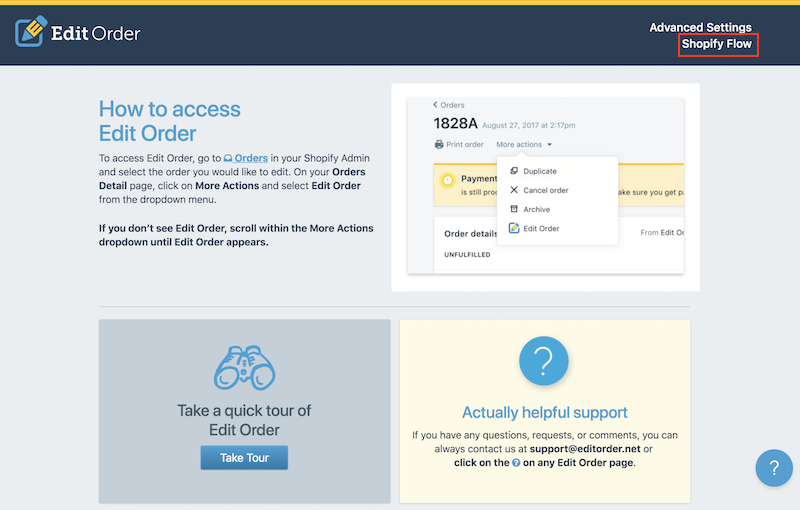 The next time you're in Shopify Flow's workflow builder, you should see Edit Order's Edit and add items action in the list of actions that your workflow is able to perform. This action allows you to add one or more items to an order automatically after the order has been placed by your customer. You can specify which items you want automatically added using what Edit Order calls an item template. Item Templates are a preconfigured template of items with customized pricing and quantities that will be added to an order when triggered by a Shopify Flow workflow. Once you've created an item template, the item template must be assigned to the Edit and add items action in your workflow. 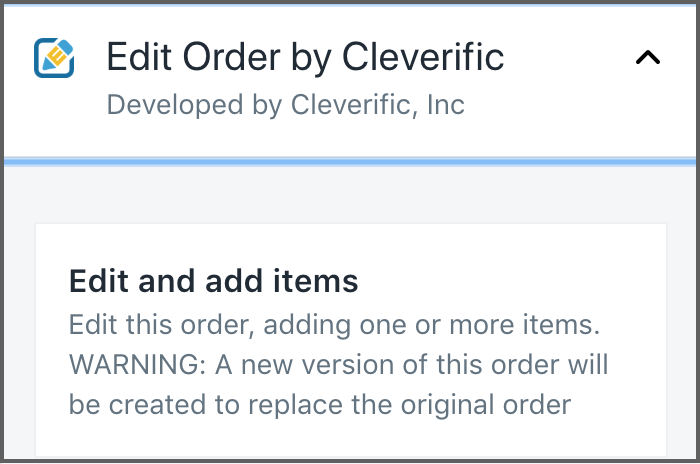 When the workflow is saved and activated, Edit Order will automatically start processing orders that meet your workflow criteria.